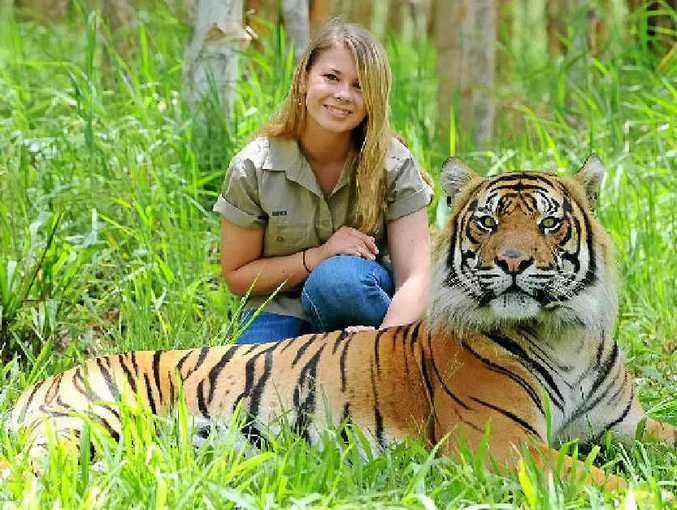 WILDLIFE Warrior Bindi Irwin has urged young girls to stop flashing so much flesh, saying they will cringe at what they wore in 10 years' time. The Sunshine Coast conservationist, known best for wearing khaki for her work at Australia Zoo, says young girls can look just as classy in jeans and a t-shirt. "I'm a big advocate for young girls dressing their age," she told News Corp in an interview ahead of her 16th birthday celebrations. "I mean, for me, I look around at a lot of young girls that are my age and they're always trying to dress older. Whether it's wearing revealing clothes or hardly wearing any clothes at all, I feel really bad for them. "It kind of has the opposite effect in some ways ... it kind of does the opposite where it makes you look younger and like you're trying too hard." "I almost wish I could tell young girls, 'look, in 10 years when you look back at yourself, you'll cringe honey, honestly'," she said. "A lot of times I want to grab these girls and say 'look ... in 10 years you'll regret this. Just dress like who you are. Don't try so hard. A pair of jeans and a T-shirt is just as gorgeous and even makes you look classier'. Bindi will be celebrating her 16th birthday at Australia Zoo on July 24. Do you agree with Bindi Irwin? WHAT DO YOU THINK? ARE YOUNG GIRLS SHOWING OFF TOO MUCH THESE DAYS? OR IS BINDI BEING TOO MUCH OF A NANA?